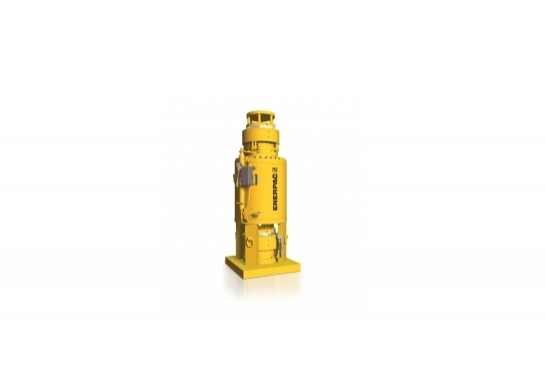 Enerpac strand jack systems are available from 30 up to 1.000 tonne capacity. Available with two types of strand: a standard strand of 15,7mm and compact strand of 18mm. The 15,7mm strand can work with a dynamic load of 110kN. The 18mm strand can work with a dynamic load of 155kN.